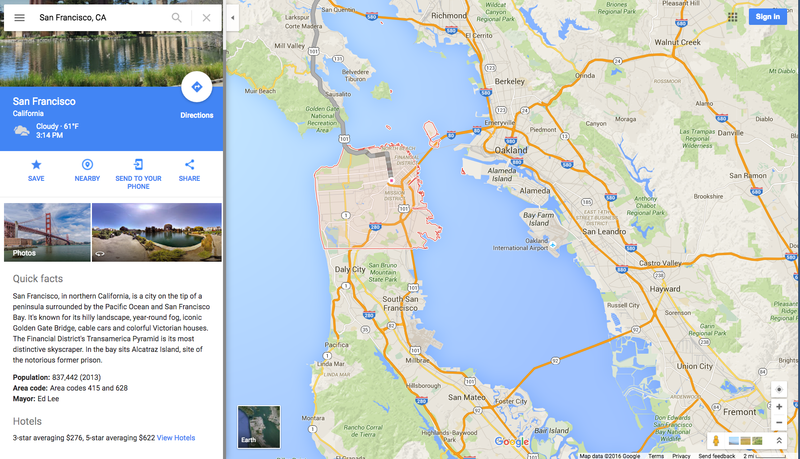 SAN FRANCISCO -- You might start seeing more ads when getting directions from Google's popular mapping service. The ads, called "promoted pins," will highlight restaurants and other merchants located along your way. They'll show up inside the directions map as Google routes you to your destination. Google has displayed text ads alongside its online maps for several years. But the change announced Tuesday marks the first time the Internet company has inserted the equivalent of a digital billboard into the directions map itself. Google is importing the concept to its Maps app from Waze, a smaller traffic-navigation service that the company also runs. Google Maps boasts more than 1 billion users worldwide, but not everyone will see the new ads right away. The promoted pins will initially appear for a small group of people as the company tests how they're received and whether the marketing pitches distract drivers. Google says it will tailor the new ads to your interests based on what it's learned from past search requests and other activities on its services. If the targeting works as intended, coffee lovers might see a promoted pin offering a discounted drink from a Starbucks along their route. Google aims to provide "tasteful commercial experiences," said Jerry Dischler, a Google product manager who oversees the company's search-driven advertising. The new ads are part of Google's effort to make more money for its parent company, Alphabet Inc. People increasingly rely on their smartphones instead of their desktop computers to inform and entertain themselves, pushing Google to invent new "mobile friendly" ads that work on small screens. Google is also adding tools advertisers can use to measure the effectiveness of their mobile campaigns. Google is also giving advertisers slightly more space to make their pitches on mobile devices. Merchants traditionally haven't been willing to pay as much for mobile ads, one factor behind a decline in Google's average ad prices over the past four years. But the value of mobile ads is rising in tandem with the increasing amount of time people spend on their smartphones. Google, however, doesn't disclose the current gap between mobile and PC ad prices. Still, Google runs what is by far the world's largest digital ad network. It generated $67 billion in revenue last year.